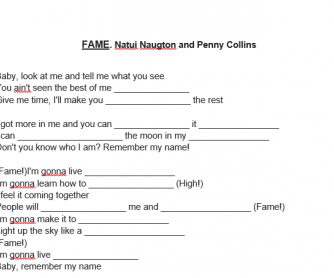 This is a song worksheet to learn vocabulary and develop listening and speaking skills. 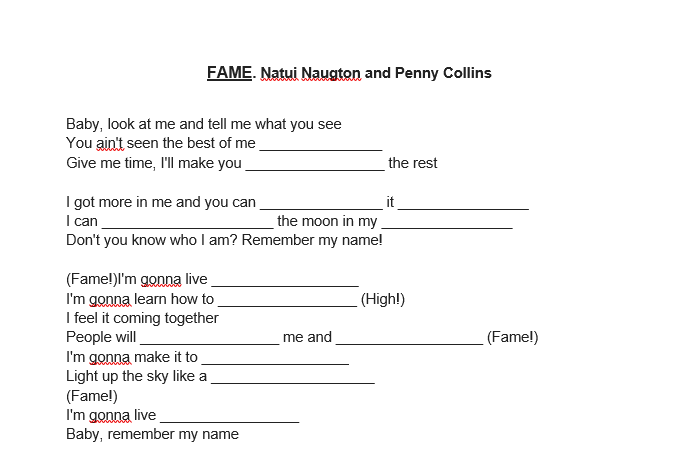 After listening to the song twice, students fill in the gaps in the lyrics. As it is a song with catchy rythm, they usually get engaged from the very beginning and it is easy to have a debate on the topic of fame. I have included some questions for that purpose. I hope you enjoy it and get good results!